In February 2013, ShelterBox Canada proudly welcomed Les Stroud, Survivorman, as a celebrity ambassador to raise awareness to ensure no family goes without shelter. Les Stroud is best known as the twelve-time Gemini nominated producer and star of the hit TV series Survivorman. Stroud is also a survival expert for the Canadian Military Armed Forces. In the internationally broadcasted series, he faces the elements alone in remote locations from Papua New Guinea to the Arctic tundra, taking no food, shelter or tools or camera crew. ShelterBox is proud to have the support of Les Stroud as we work to ensure no family is left without shelter after conflict or natural disaster. On October 17th, 2016 ShelterBox Canada Executive Director, Stephanie Christensen, and Survivorman, Les Stroud, were a part of a ShelterBox Response Team that returned to Ecuador following a series of earthquakes. ShelterBox responded in the country following the devastating 7.8 magnitude earthquake that struck the coast of Ecuador in the province of Esmeraldas on April 16th, 2016. It was reported that 654 people were killed and over 12,500 were injured from the earthquake and aftershocks. ShelterBox partnered with local organization, PROGAD, and Habitat for Humanity to deliver and distribute essential aid to 2,580 affected households. Thanks to the incredible generosity of donors, ShelterBox was able to provide water filtration equipment and water carriers for families to make polluted or dirty water potable, ShelterKits containing tools and waterproofing to repair damaged homes or to create basic shelters, as well as mosquito nets, cooking equipment and all-important solar lighting. 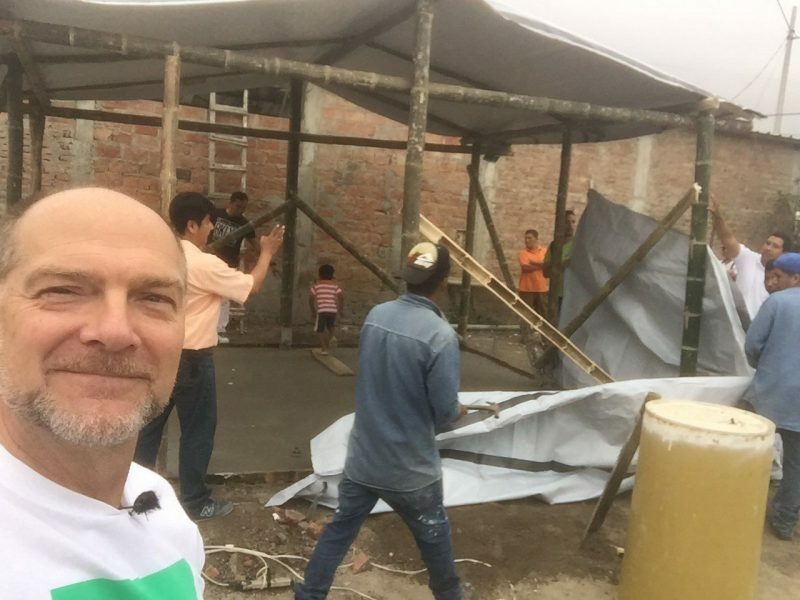 Read more about the deployment and Les Stroud’s time in Ecuador with ShelterBox here.